I have a confession to make: I’ve never ever played a Kirby game. It’s not just because the title character reminds me of my deep-seated fear to merciless amorphous blobs who consume everything, like in that classic 1988 remake of The Blob – or watching people order ribs at an all-you-can-eat special at Spur. Still, that might change with Kirby And The Rainbow Curse, which returns the little pink fella to a Nintendo home console. And so far, scores are kind of mixed. 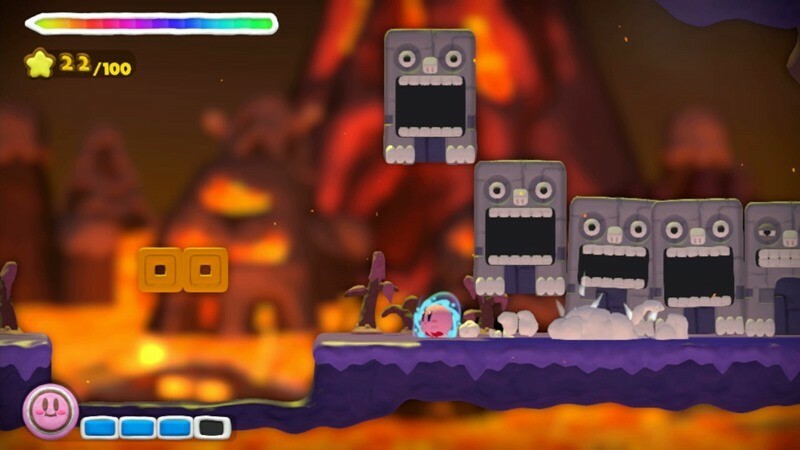 Kirby and the Rainbow Curse will amaze fans of traditional stop-motion animation with its achingly charming visuals. 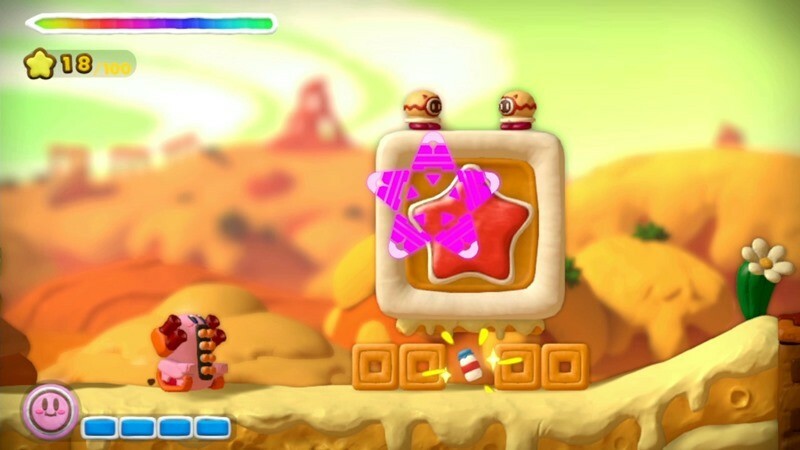 It works great as a lighthearted single-player platformer, a wild and boisterous multiplayer campaign, a tough-as-nails action-puzzle challenge, a bite-sized Off-TV handheld experience, or a big beautiful HD spectacle on your television screen, all depending on how you choose to play it. 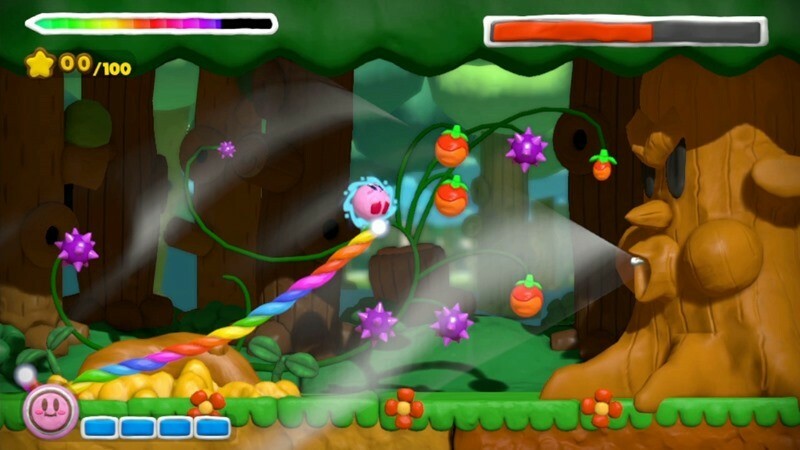 Kirby and the Rainbow Curse shines because it’s a simple game that delivers superbly on a simple concept. You’re repeating many of the same actions again and again, but with each new stroke it feels more refined, more graceful. 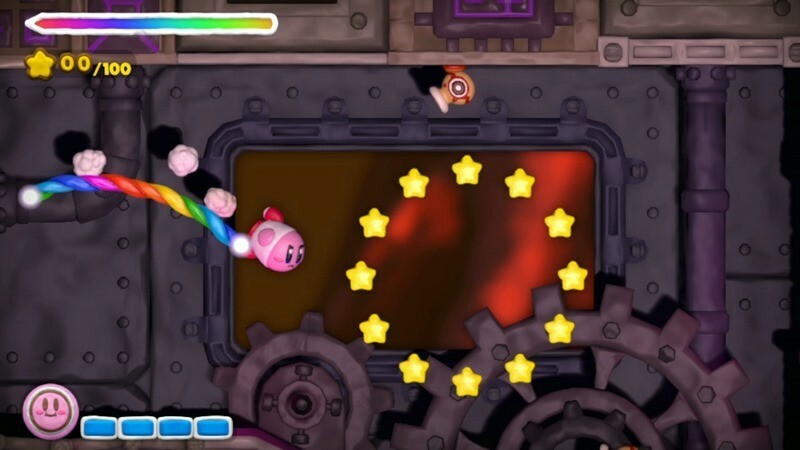 I’ve never felt smarter or more sophisticated while playing a Kirby game. Ten years ago, Canvas Curse helped Nintendo explain its handheld oddity better than any press presentation or Q&A session ever could. The gameplay was so intuitive, so immediately familiar and smartly designed, that it went a long way toward convincing me that a touch interface could do more than simple mobile experiences. A decade later, those mechanics work just as well wrapped in a beautiful new presentation, but by its very nature, it feels more at home on a handheld. Just in this case, it’s a handheld system that’s tethered to your living room console. I never fully fell in love with only having secondary control of Kirby. Drawing platform lines is undeniably different, but I’m not convinced it’s the best way to play a platformer. 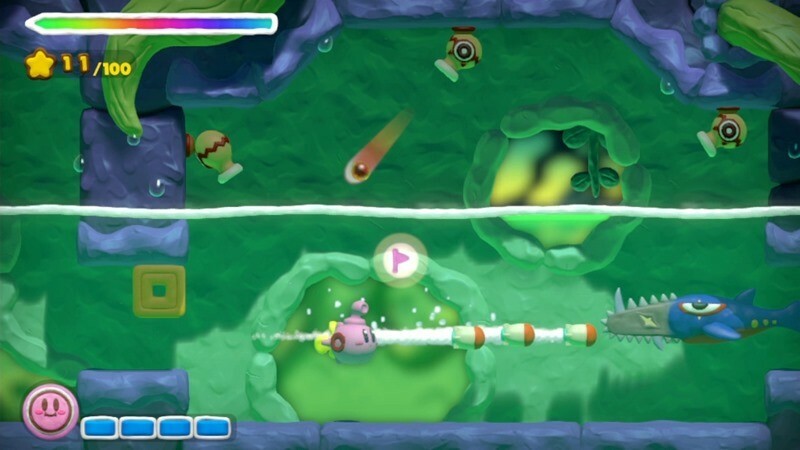 Rainbow Curse smartly toys with the mechanic, adding surprising twists and changes, and by the end I was having a good time – even if I still was yelling at Kirby to just do what I told him every now and then. Kirby and the Rainbow Curse is a tiring game. It’s taxing without being rewarding, like doing a mile on a stationary bike and discovering that you only burned away calories from one bite of your lunch burrito. The game gets frustrating quickly due to repetitive obstacles and there’s not much incentive to dig into a game that won’t give you that agency. It’s a mediocre romp through a gorgeously detailed world that doesn’t give you the control you need as a player, which ultimately dulls its shine. 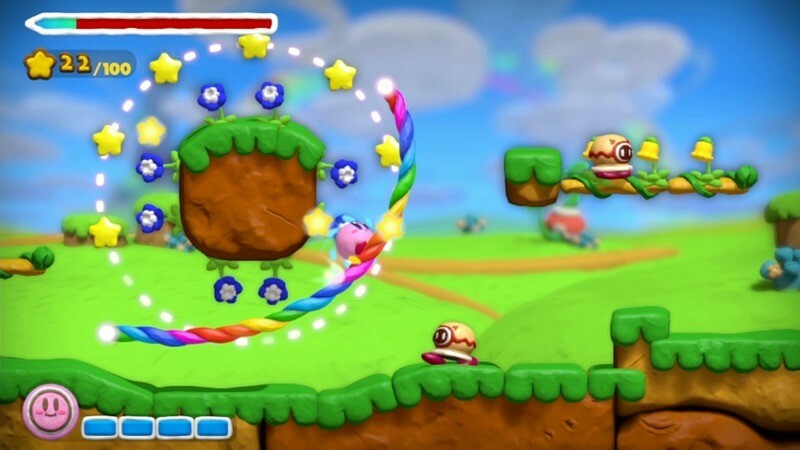 Playing Kirby and the Rainbow Curse was a tedious experience from beginning to end, and it lacks the “time and place” factor of Canvas Curse. If Nintendo was more open to bringing its properties to mobile and tablets, I could see the game being more appealing as a cheap eShop or iPad title. 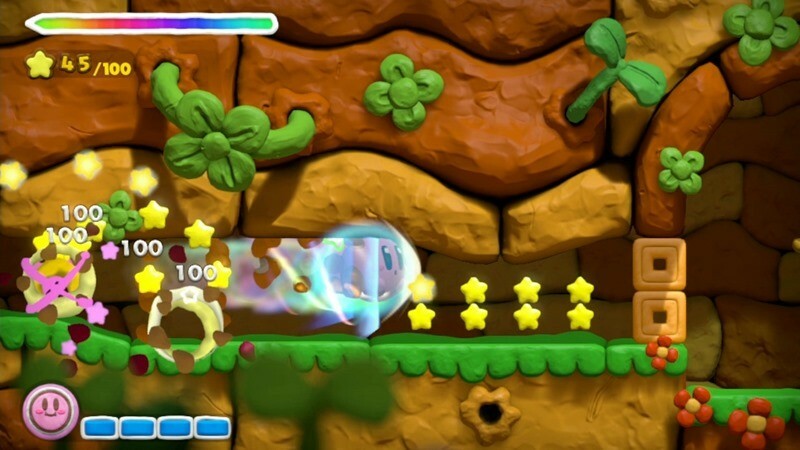 As a full-fledged $40 Wii U title, however, it only feels like a disappointment. The game is out February 20 in the US of A. As usual, us European territories will have to wait a little bit longer in order to get the game. And by a little bit longer, I mean the end of the year. Which makes no sense whatsoever.